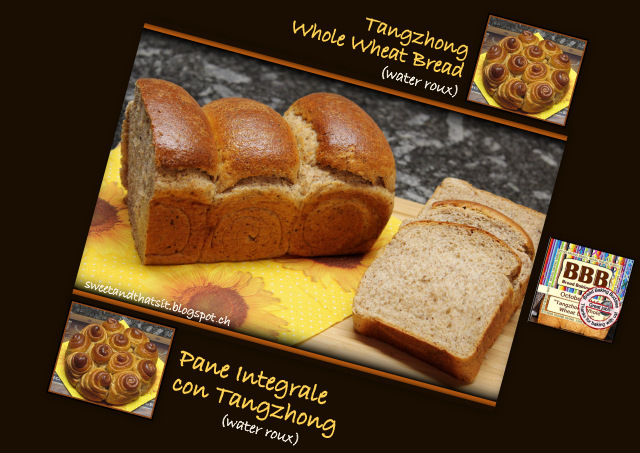 This month, I got to be the kitchen of the month for the Bread Baking Babes, and posted this recipe for Whole Wheat Tangzhong Bread. The tangzhong method involves using a flour and water or milk roux that is cooked to 64 degrees C/149 degrees F, cooled, and then incorporated into the dough. 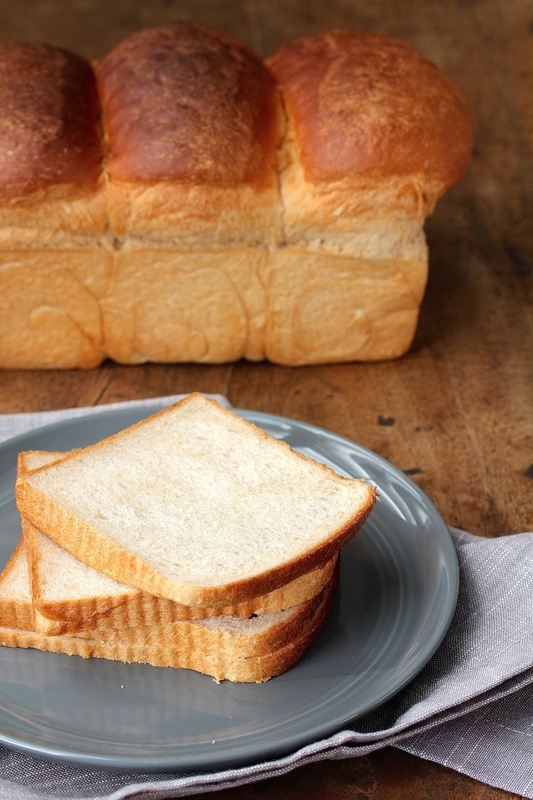 It creates an amazing softness in the bread. You can visit my post to learn more about the method and get my recipe. I was a little nervous, because this was my inaugural post as the Bread Baking Babes kitchen of the month. Would the Babes approve? It was so fun watching the behind the scenes discussion of this bread. Experiments ensued, recipe revisions broke out (it's all fair game with the Babes), and gorgeous loaves magically appeared. Did you know that the bread police in certain countries will arrest you if you call bread whole wheat unless it is 100% whole wheat? Okay, they won't actually arrest you, but they are pretty particular about the topic (Full disclosure: this bread contains both white and whole wheat flour). Of course it's all in fun, and, in the end, everybody gets fresh baked bread! Not a bad deal at all. As part of the fun, we invite everyone to become a Buddy and bake along with us, and this time, three wonderful folks joined in. "My first bake in a long time, and the first time I've used this method. 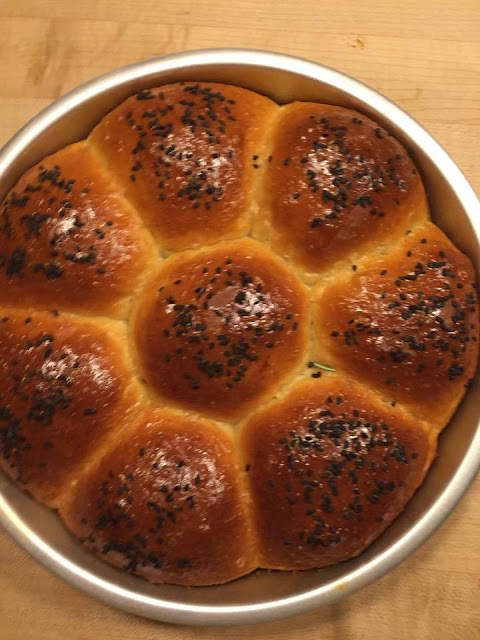 I'm so glad I made these delicious rolls, and so was my husband. Thank you for choosing this tasty recipe. I topped them with black sesame seeds." "Here's how my tangzhong experiment turned out! I needed to make some hotdog buns and was trying my einkorn for the first time. I think they turned out pretty good, texture is perfect for a hamburger bun and closer to a potato roll style hotdog bun. Nice tender, moist, and fine crumb." Here are her cute hot dog buns. Carola, of Sweet and That's It made several versions of this bread, including rosettes filled with jam. She has some great photos of the shaping method, as well as the roux. 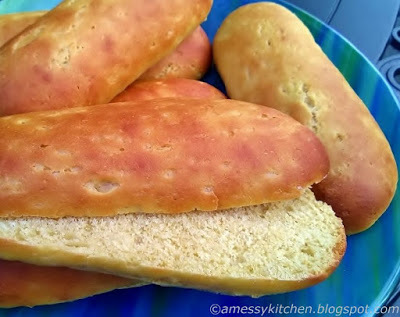 She pulled these out of the oven late at night and had a hard time going to bed with fresh bread calling her name in the kitchen. 11. 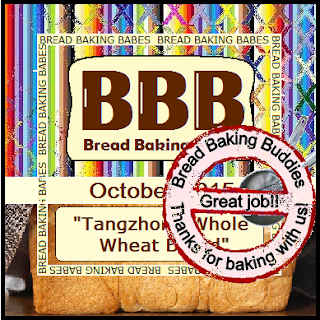 Bread Baking Babes make Tangzhong Bread – Fluffy? Thank you Karen for this wonderful recipe and great round up! It's so hard Carola!! Lol! What a lovely start to November to read this round-up. These are tried and true Buddies all and it's fun to see what they've baked. Hi Candy, we'd love to have more Buddies. The December recipe will be published on the 16th, so stop by my blog on that day. You will then have until the end of the month to bake it. You can also join our Facebook page, Bread Baking Babes and Friends, where the recipe will be revealed on the 16th. Looking forward to having a new Buddy!